With more than $200 billion to be invested across various applications for the upcoming World Cup, a tremendous growth of rental equipment would be witnessed especially gensets in the country, added the report titled “Qatar Power Rental Market (2014-2020)” by 6Wresearch, a global market research and consulting firm specialising in niche and emerging markets. Construction and industrial applications are expected to emerge as the fastest growing sectors in the Qatari market. The key developments in Qatar’s construction industry include the building of eight new stadiums and renovation of three existing ones, Doha Metro Rail, establishment of Lusail City, expressways and addition of new hotels. 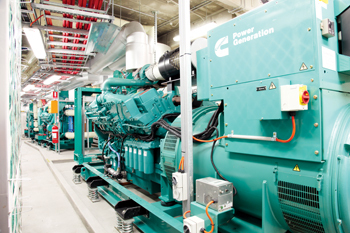 In Qatar’s power rental market, diesel genset rental accounted for the majority of the share owing to the ease of availability of these gensets. In the non-diesel genset rental market, the gas-based ones have accounted for a majority of the market revenues. Qatar, being a natural gas-rich country, it would exhibit higher growth for gas-powered gensets. In Qatar, gensets with rating 100.1 KVA-350 KVA and 350.1 KVA-750 KVA lead due to their extensive usage across various applications. RSS, JTC, Byrne Investments, Hertz, Aggreko, Qatar Building Company, Al Reyami, and Qatari Industrial Equipment are the key players of the market. The report has estimates and forecasts for the overall Qatar power rental market by revenue, and by generator types such as diesel and non-diesel generators. The report also gives insights on the competitive landscape, market trends, rental trends, company profiles, market drivers and restraints.